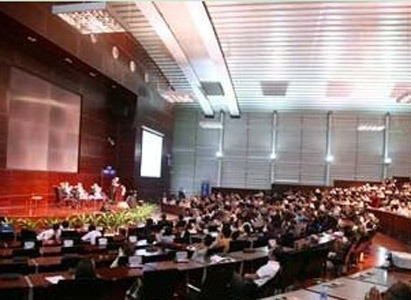 21st World Cancer Congress was closed on August 21. 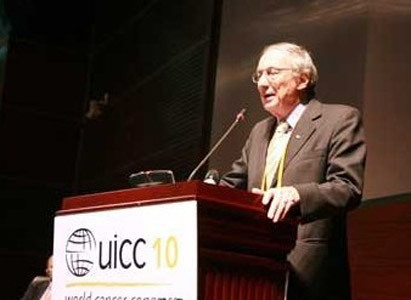 During the Congress, Argentina oncologist Edvard Card was elected as new UICC President. Montreal, Canada was crowned as host for next World Cancer Conference 2012. UICC reported world cancer incidence at the congress, pointing out cancer incidence remarkably differs in countries, however, the top health killer is lung cancer, from which 1.3 million died. Gastric cancer is regarded as second killer, with 803 thousand people dying each year, colorectal cancer, with 639 thousand people dying each year, liver cancer 610 thousand people dying and breast cancer 519 people dying. In men, the top 3 cancer killers rank as lung cancer, gastric cancer and liver cancer. In women, the top 3 cancer killers are breast cancer, lung cancer and gastric cancer. Hao Xishan, Chairman and academician of Chinese Academy of Engineering, make statement at this World Cancer Congress that this is the first time that World Cancer Congress has been held in China. He praised, "Shenzhen is a very virogous city, which is very attractive to him. Shenzhenese has been building this city with hard work, diligence and innovation. It is a progressing city. The theme of 21st World Cancer Congress is to prevent preventable disease and treat treatable patients through systematic efforts. Therefore, let's take action together and let the whole world free of threat from cancer." 21st World Cancer Congress attracted 3222 representatives from 94 countries, 868 of which were from China, 1,354 from overseas. Card pointed out at the closing ceremony speech that world community should work together to fight cancer, the health threat and economic burden.